When I found this book at the junk shop last weekend I could help but take it to Green Street. 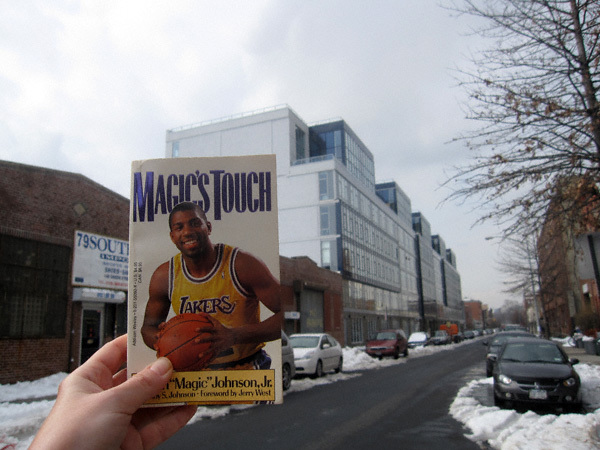 A place that was and continues to be “touched” by Magic’s touch. The Viridian (or as I prefer to call it: The Green Street Dorms) continues to amuse. 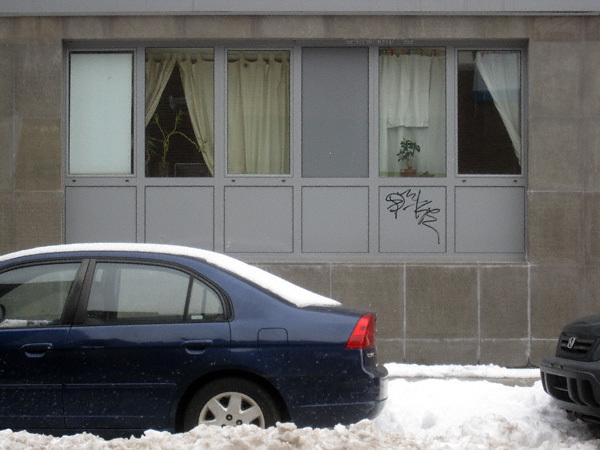 The window treatments at this edifice are particularly provocative. There are not very and as a result I have some insight into the lifestyles of 110 Green Street. A bra-clad woman sitting in a director’s chair here, a bedroom with two sets of bunk beds there; every evening the windows glow with plasma television goodness. I do not want to see these things— but I do. Whatever happened to privacy? Well, here’s one solution to the problem. But back to Magic and his touch. and some intrepid Garden Spotter has seen fit to return the favor. It should be renamed “The Virulent”; since, these monstrosities are the architectual equivalent of Ebola.Once infected, it spreads quickly and there’s no way of stopping it. Welcome to the upwardly mobile version of housing projects. Ugh. What an ongoing disaster! 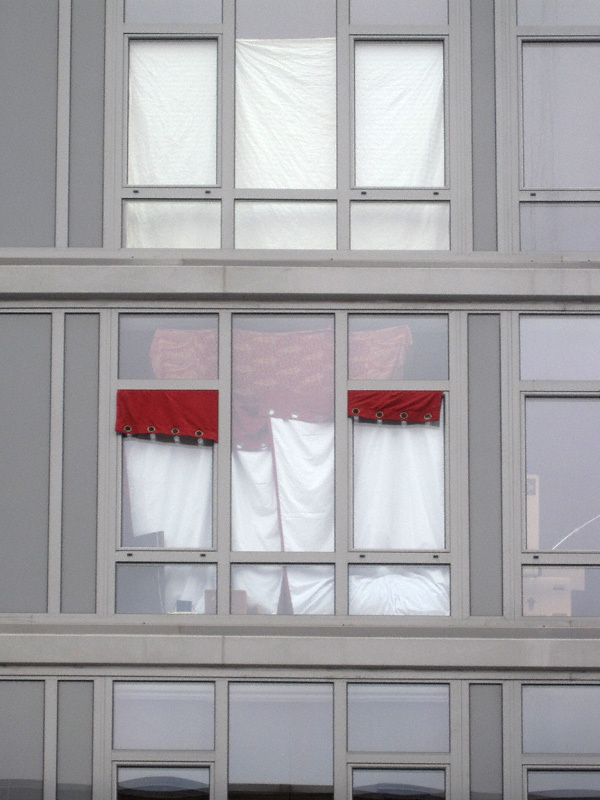 What’s up with those make-shift ‘curtains’. Really, people?